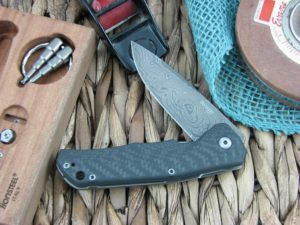 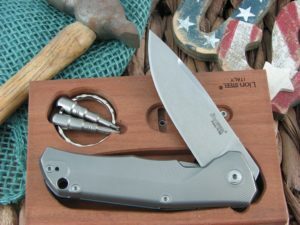 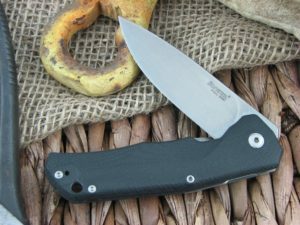 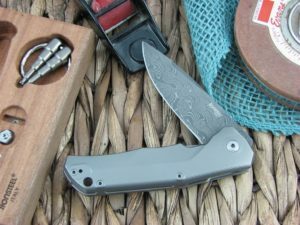 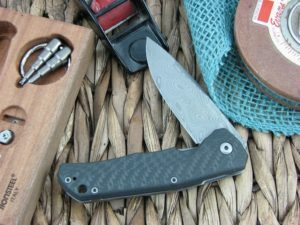 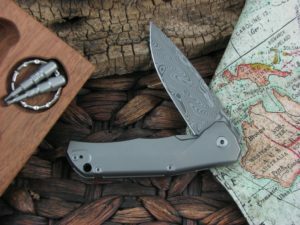 Folding knife with titanium frame Locksystem. 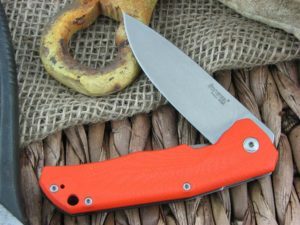 It comes with a 3D machined handle. 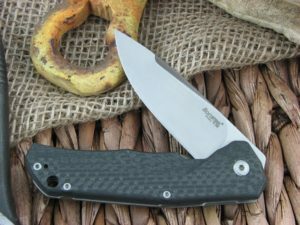 The T.R.E. 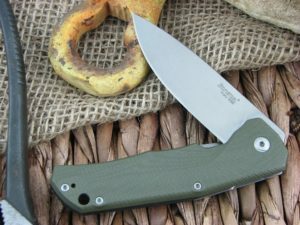 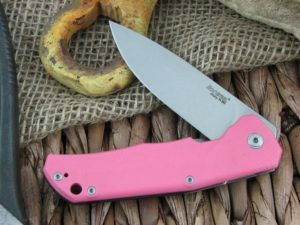 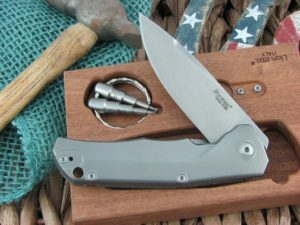 knife comes with Bohler M390 stainless steel blade. 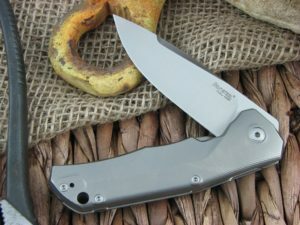 The frame and clips are in grey titanium.